Below is the text from a draft white paper created by members of the IPM-WG Strategic Planning Initiative at the 2011 meeting. Comments from all past and present IPM-WG participants are welcome. Background: The purpose of this paper is to describe the challenges facing IPM-WG and the steps that can be taken to address these challenges. Over last 10 years IPM-WG has developed a successful range of web-based resources for integrated pest management in collection-holding institutions, centered on the Museum Pests website and Pestlist mail server. Much of the work of the Group in recent years has been focused on the development of the website and the creation of content. Other than the relatively low-level of activity required to keep the site up to date, this work is now largely complete. The group has a choice of disbanding, existing on a limited basis for the purposes of maintaining the Museum Pests site and list serve, or using these achievements as a foundation for growth. If we choose to grow and develop the Group, the current ad-hoc operational structure may not be sufficient. Disband: This would abandon the website and pestlist. Eventually the work that has been done to date would be lost and pulled out of context. IPM-WG has exemplified volunteer productivity. Any forward motion in terms of deliberate pooling and organization of resources would be halted and we could all go back to our separate projects. Stasis: The website would maintain its existing scope, thus limiting utility. The IPM-WG would have to resolve our dependence on AMNH and Leon Zak for meeting and tech support. Information technology will continue to change, incurring use of resources: both volunteer time and money, albeit less time than money. Growth: This would involve a more deliberate expansion of participation. Content of the website could be expanded to cover topics such as historic structures or wider geographical areas (ecosystems). Types of media and delivery mechanisms such as training courses, conferences and workshops could be developed and able to change with the times. This would require financial resources as well as volunteer and perhaps staff time. We would need to clearly define the current IPM-WG and determine whether or not to continue as a free-standing organization or under the umbrella of another institution or organization in order to maintain the accountability necessary to handle these larger responsibilities. Requirements: Assuming that the Group wishes to grow, there are a number of elements that need to be put in place. 1) Mission Statement and Vision. A clear statement of the Group’s mission and the underlying vision for this mission is a pre-requisite for the development of long-term plans. 2) Bylaws. There are no written rules for the operation of the Group. If a more challenging agenda for activities is to be adopted, then procedures will need to be codified. 3) Strategic Plan. A strategic planning document will be needed to realize the long-term vision for the Group, setting goals and objectives for the next 5 years. 4) Steering Group. At the moment, there is no management structure for IPM-WG beyond the Chair/co-Chairs and no approval mechanism. Minimally, a steering group will be required to make the decisions necessary to implement a mission statement, vision, and bylaws. The Steering Group will be a temporary body, whose permanent replacement will be defined in the bylaws. 5) Long-Range Planning Group. Will be responsible for working up ideas and plans for further discussion/development by the Steering Group. Long range planning group drafts mission statement and vision. Keep as-is with small group of workers. Primary role to generate material for steering committee, such as bylaws, survey for IPM-WG members, etc. Bylaws should be vetted by an appropriate outside source (or sources) that have experience and legal expertise. Steering Committee finalizes any changes and approves mission statement, vision, and bylaws. Wider consultation of the strategic plan, bylaws and mission statement to members, parties of interest and peer organizations. We are currently accepting requests for a spot at our next meeting, which will be held March 1-2, 2012 and hosted by the American Museum of Natural History, New York City. As in previous years, we plan to use the time during the two days to work together to complete resources that have been in process or requested by constituents in the areas of Pest ID aids, treatment resources, best practices for prevention and data collection/visualization. Building on last year’s meeting we will also focus on strategic planning for our group as well as our relationships with overseas colleagues. 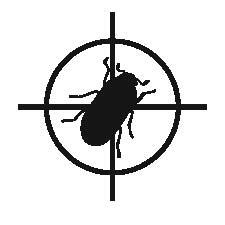 We will have reports on papers presented at the 2011 Pest Odyssey meeting in London, new apps for IPM and more. We want to stress that the purpose of the group is not to teach or review IPM, but to solve individual institutional challenges while developing resources for the museum community. You should expect to take an active role in generating resources and to leave with an assignment. For more information on the working group please see the About Us page on www.museumpests.net. We are offering past participants first priority at attending before putting out a wider call on the PestList and other listservs. If you would like to attend, please contact IPM-WG Chair Rachael Perkins Arenstein at rachael at amartconservation dot com. Please put “IPM Working Group RSVP” in the subject line of the email as messages without this subject line will not be opened.